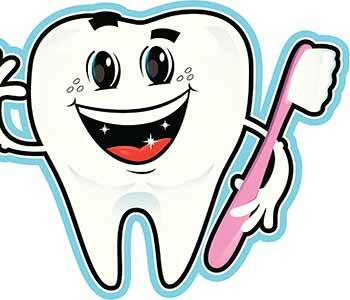 Most health-conscious patients, with or without dental insurance, schedule hygiene visits twice a year. If you are one of them, you may take teeth cleaning for granted. If you have not been to the dentist in a while, however, you may be wondering what happens during this treatment. 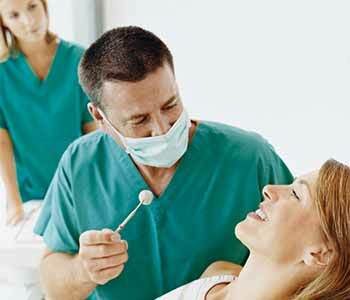 Calgary, AB dentist, Dr. Hanif Asaria, explains about professional teeth cleaning, step-by-step. The term “teeth cleaning” does not truly do justice to this invaluable service. A hygiene visit is more appropriately compared to a medical appointment. A growing body of evidence supports the mouth-body connection. For example, gum disease is a significant risk factor in systemic illnesses such as diabetes, cardiovascular disease, respiratory problems, rheumatoid arthritis, Alzheimer’s disease, certain cancers, and even ED. In turn, a variety of health problems present initial symptoms in the mouth. Teeth cleaning disrupts bacterial colonization that releases potent toxins into the bloodstream. In addition, regular hygiene visits, with frequency recommended based on your unique oral condition, allow the dentist to monitor your oral health status. The dental team is vigilant for early signs of tooth decay, chips or cracks in teeth, and potential issues with restorations. The goal is to intercept problems early, when they may be addressed efficiently, economically, and with minimal discomfort. One of our trained hygienists shows you to a treatment room and gets you settled comfortably into the chair. Your clothing is protected with a disposable covering. Then, using a small mirror, the hygienist thoroughly checks your mouth for potential concerns such as inflamed gums, soft tissue lesions, or tooth decay. Any problems are noted in your records and reported to the dentist after the teeth are cleaned. Teeth cleaning is usually done in quadrants. Expect to rinse between steps, and reposition your head and mouth occasionally, as instructed by the hygienist. Our hygienists use an ultrasonic scaler to remove plaque and tartar between teeth and at the gum line – areas that are tough to keep clean even with excellent home care. In the past, this was accomplished with instruments to scrape tooth surfaces manually.An ultrasonic scaler converts electricity into energy that creates 25,000 to 50,000 vibrations per second. This results in tiny bubbles filled with water vapor that release micro-bursts of heat and pressure when they implode. Ultrasonic action easily loosens particles stuck between teeth, tartar buildup, sticky plaque, and bacteria. Treatment is painless, and without the sounds and sensations of scraping. In some cases, the hygienist may need to apply a bit of manual removal for stubborn deposits, but typically, ultrasonic scaling is quicker and more comfortable. Teeth are polished with a special paste to remove surface stains and any residual traces of tartar. You get an expert flossing. This gentle but thorough step gets to latent trouble spots you might be missing with home flossing, and it removes leftover bits of polishing paste. You may choose to have a fluoride treatment. A disposable tray filled with pleasant tasting gel is inserted into your mouth for about a minute. Then the product is rinsed away. Fluoride is a good choice for children, since they are especially disposed to tooth decay as their mouths develop. However, adults get cavities, too. Smokers, snackers, and people with multiple dental restorations are at increased risk. Gum disease causes gum recession, exposing root surfaces not protected by enamel, and chronic dry mouth and other medical conditions and medications may lead to tooth decay. Fluoride treatment helps to fortify enamel. Cavity-prone patients, pediatric and adult, may also consider dental sealant. This colorless liquid plastic is painted onto the chewing surfaces of molars right after cleaning. It flows into microscopic pits and grooves to keep harmful, decay-causing bacteria out. While regular professional cleanings remove surface stains, teeth may also develop deeper discoloration. Many patients choose safe, effective at-home whitening for brighter smiles. A professional strength gel formulation is applied using comfortable, custom-fit trays. Ideally, a whitening program is started immediately after a hygiene visit. Now that you know what to expect in our soothing care, it is time to schedule an appointment at Calgary Dental Centers. Call our office at 127-12100 Macleod Trail SE at 403-768-1339, or schedule at the 17th Avenue Dental Center by calling 403-768-1343.